aNgeliic Hheart: Best Face Mask ever! So I was cleaning out my fridge recently, and discovered a few left over strawberries and blueberries that were a little bit wilted. I usually just throw them out as it was just a few, literally like 4 blueberries, and 2 strawberries. I felt bad about throwing out food, so I decided to put them to good and make a face mask using them and a few other ingredients. Both of these berries contain high levels of antioxidants and vitamins that are great for the skin and body, I just added a few other things from my kitchen to boost the benefits given to my skin. After I removed the mask on my face I noticed an immediate difference. At first my skin was SO RED!!!! I started to freak out, because I had used a face moisturiser before that gave me a red rash all over my face, so I immediately thought this was the same. THANK GOD, I was wrong. Haha, it was just the rush of blood that came to the surface of my skin from the secret ingredient. The redness went away after about five minutes. Secondly, my skin was super soft, and plumped. Thirdly, there were a few blackheads on my nose, guess what....they disappeared!!!! I was amazed at the result and stashed the remainder of the unused product away for next time. So no without anymore delays, I give you the recipe to the best mask ever!!!! Mash the berries and mix together with the rest of the ingredients then place of cleansed skin for about 15-20 minutes, then rinse off with lukewarm water and pat dry. You can spray your face with a light toner, but leave it bare for 10mins then moisturise like normal. Do not use face wash or soap to remove mask, just water then dry off. 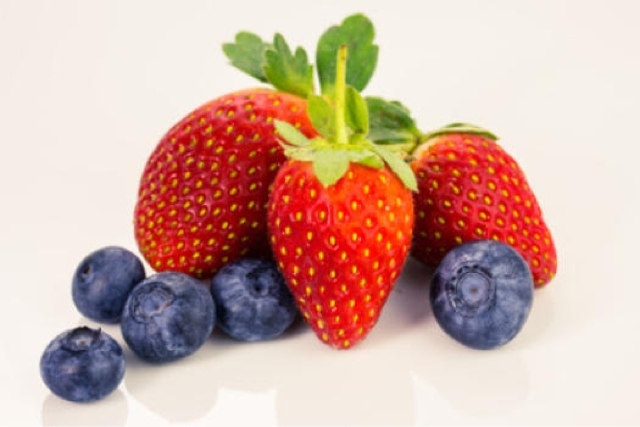 -Blueberries and Strawberries both contain antioxidants that soften the skin and give it radiance. -Cinnamon plumps the skin and helps circulation and it is also a good acne preventer as well as being a good anti-age product. -Milk helps with removing dead skin cells, shrinking pores, cleansing and soothing the skin. I recommend using this mask once a week to maintain a healthy radiant skin.